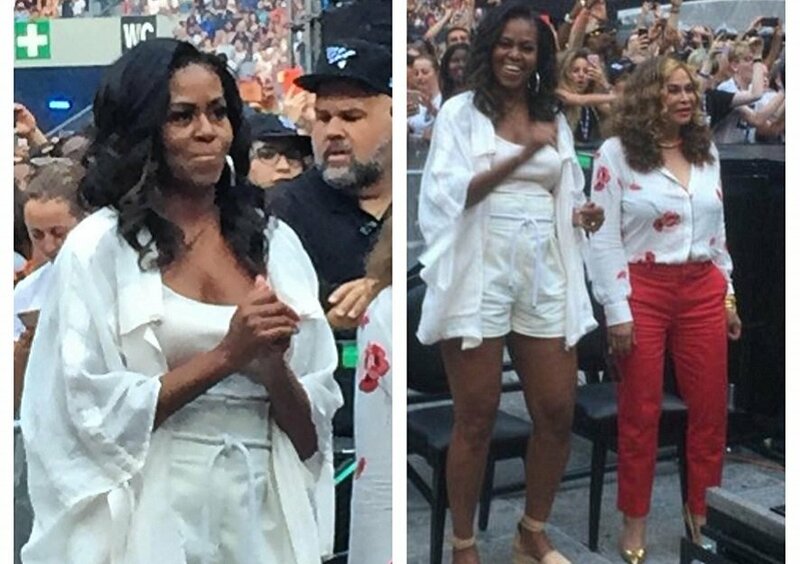 Former First Lady of USA Michelle Obama was spotted in Paris, letting her hair down at a Beyonce and Jay-Z concert. According to E! Online, Michelle attended the couple's 'On the Run II' tour stop in Paris on Sunday along with Beyonce's mother Tina Knowles Lawson. An Instagram user posted a photo of the duo standing in the front row of Stade de France, where Jay Z and Beyonce performed. She captioned it as, "My I love my life! Mother Obama is in Paris! Mama Tina ???? #allyotr #otr2tour day 2"
The photos have since gone viral on social media. A video of Michelle Obama dancing at the concert has also amassed thousands of views. On a related note, the performance took place after the FIFA World Cup final between France and Croatia was played on a giant screen. France went on to win the match by 4-2 to clinch the coveted trophy after 20 years.